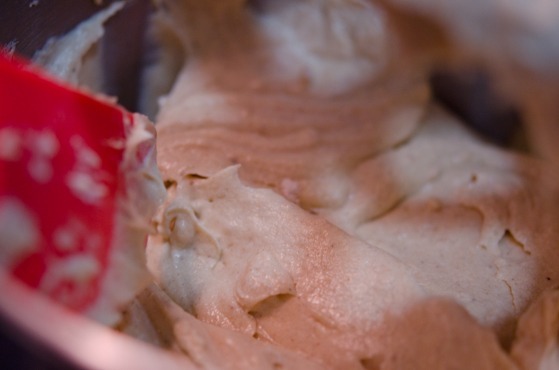 A fear, a hesitation, and a near trauma…, I am afraid of making CARAMEL FROSTING. It was my husband’s birthday this past Sunday and guess what his favorite cake to eat for his special B-day was? 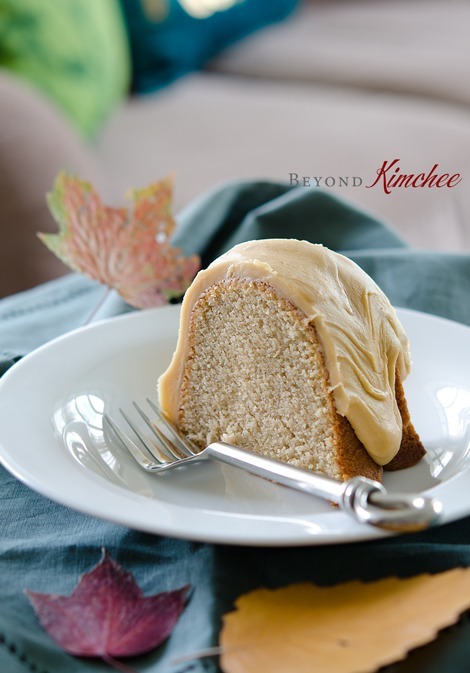 Yup, a spice cake with caramel frosting! So my original intention was to serve the cake on a puddle of caramel sauce instead to satisfy his serious sugar tooth. 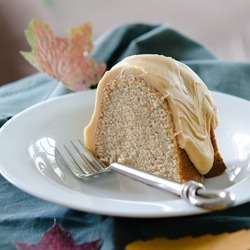 Then I discovered this recipe, Spice Cake with Caramel Icing and decided to give a try. I liked the glaze-like icing on top of the cake that I saw on the photo. I can do glaze. However, the icing on the cake of my picture looks quite different than the original recipe that I got it from. Mine looks like mud slowly sliding down on the cliff of tropical island. Where is the gorgeous shiny glaze-like icing? The cake itself is amazingly soft and moist with featherweight texture and fine crumbs; thanks to the double sifting of flour mixture. The spices are well balanced with sweetness of cake. The icing? Well…, see my tutorial and tell me what I did wrong. But I tell ya, it tastes pretty good and I don’t find the gritty like texture that some other frosting/icing do. 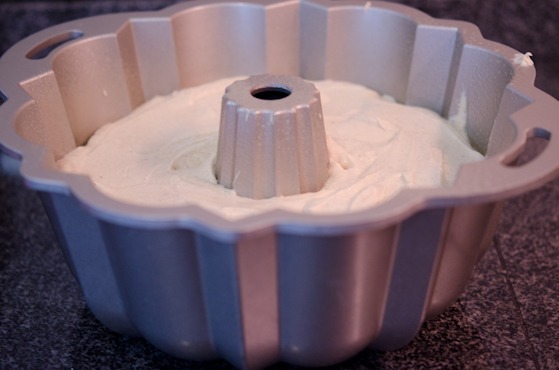 If you have a tube pan, it would be the best equipment for this recipe, but a bundt pan creates equally gorgeous tall cake; you just don’t see the pretty bundt curves on top since it is covered by the icing. Spice, spice, I spy spice! 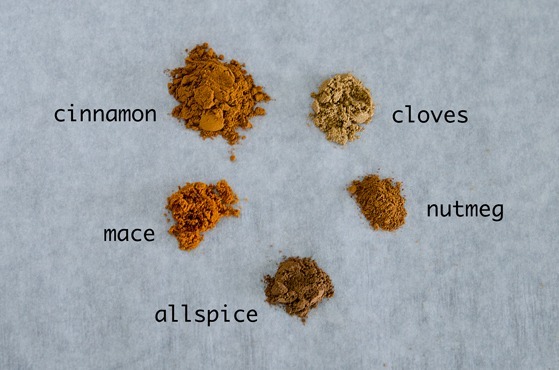 You will need these 5 spices. Don’t skip the mace. Sift the dry ingredients TWICE!!! That will create very light and fine textured cake. 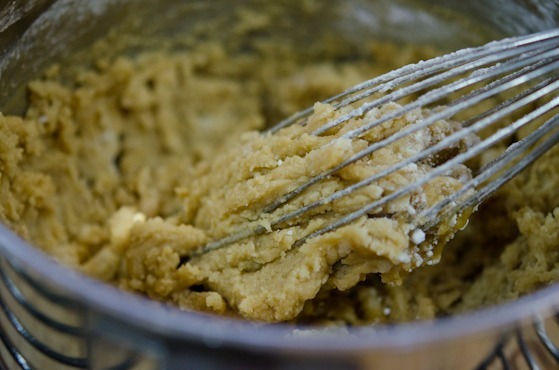 Beat butter, shortening (yes, shortening! ), and sugar until light and fluffy. Beat in 5 eggs (wow! ), one at a time. Slowly stir in flour spice mixture and milk alternately. Add vanilla extract. See the smooth cake batter. 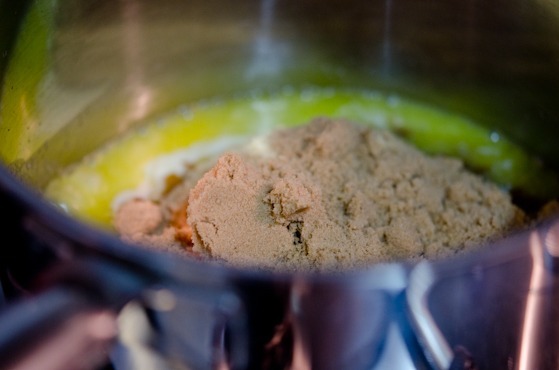 Turn the batter into a greased and floured tube pan or bundt pan. Bake at 325F for 1 hour and 15 minutes, or until tester comes out clean. Ready to tackle the icing. Melt butter in a pan over medium heat. Add cream and brown sugar, mix until smooth. Bring the mixture to a full boil for 1 minute. Remove from the heat source and let it cool slightly. Maybe I must had it cool too long? It got thickened a bit when I was about to add the powdered sugar. Anyway, I added powdered sugar. And this is what I got. This was NOT what I was visioning. I wanted smooth glaze-like icing just like on the picture. What have I done wrong? Either caramel hates me or we just are not meant to be together. I didn’t want to discard it so I transferred this big clumpy glob to a mixing bowl, added 2 tbsp more cream, and started beating like crazy. And voila! instead of glaze, I ended up with the silky smooth frosting. The frosting I always wanted to get but never got it right before. How bizarre is that? My husband loved the cake. In fact he loved it so much that he hid it from our dinner guests (we had a few friends over to have dinner with us) after each guest had their thin(?) slices of cake. He took the rest of the cake back to kitchen without offering anyone a second. I quietly chuckled. My poor husband knows that I hardly make his favorite cake, so he wanted to take his portion to a maximum by hiding it from his friends. LOL! Everyone loved and raved the flavor of the cake and the frosting, or more accurately “a failed glaze”. Anyhow my ever-wanted caramel frosting was born in a total accidental way and I couldn’t be any happier. 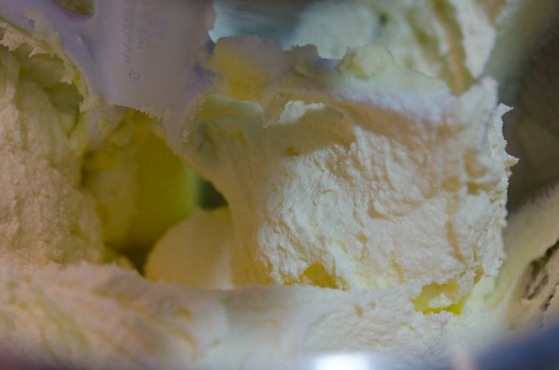 In an electric mixer with paddle attachment, cream together butter, shortening, sugar until light and fluffy. Add eggs one at a time and continue to beat. 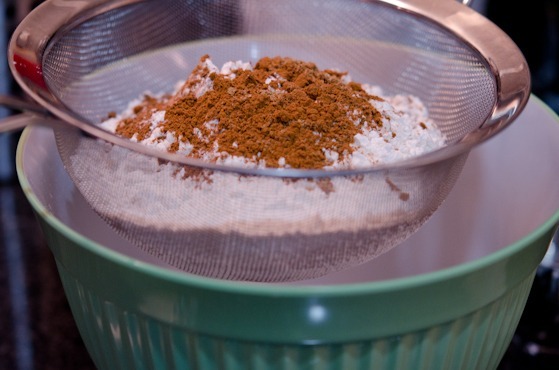 In a separate bowl sift together dry ingredient, twice. 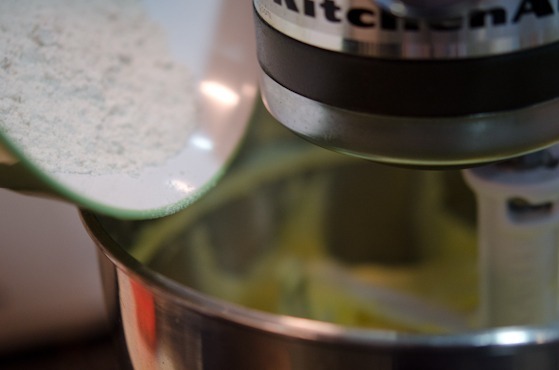 Add the dry ingredients to the creamed butter mixture, alternating with the milk and mix well in a low speed each time. Add vanilla and stir well. 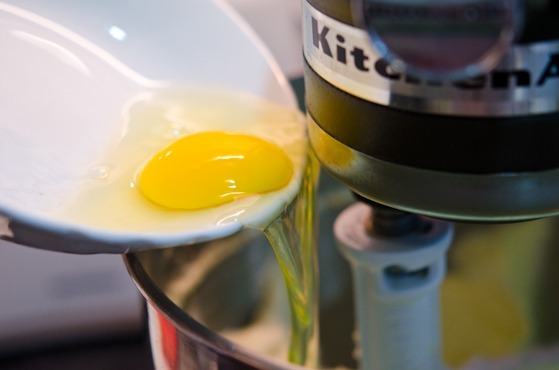 Turn the cake batter in a greased floured tube pan or bundt pan and bake for 60-75 minutes or until the toothpick comes out clean when tested. Cool cake in a pan for 15 minutes, then remove from the pan and completely cool on a wire rack. 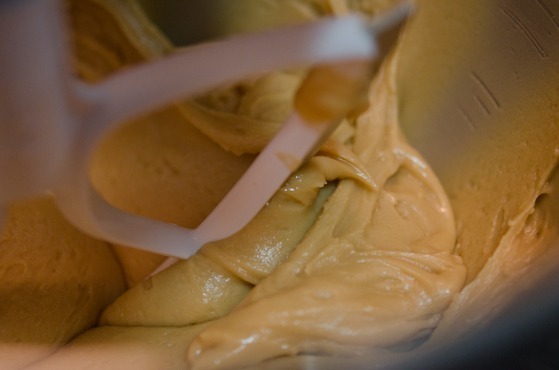 To make caramel icing: melt butter in a saucepan over med-low heat, stir in brown sugar, and he cream. Remove from heat and stir until smooth. Return to heat and bring to boil for 1 minute. Let the mixture cool. 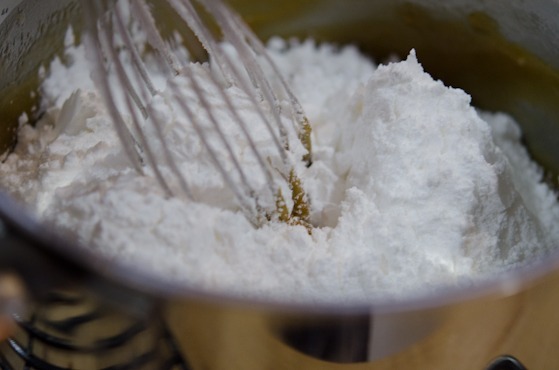 Add the confectioner's sugar and vanilla, and beat until smooth. Add more cream if needed. I do some baking although my wife does most of it (she's good at it and really likes it), so I'm the last person to ask for suggestions about icing and glazes. It looks terrific to me as is! Really attractive. And the cake recipes looks quite good too - a ton of flavor in that. Fun post - thanks. What a lucky husband he is, and Happy belated Birthday to Mr. Beyond Kimchee. :) I have never made icing (never made cupcakes, so that's why...) and now I know it can be difficult to make (had no idea! 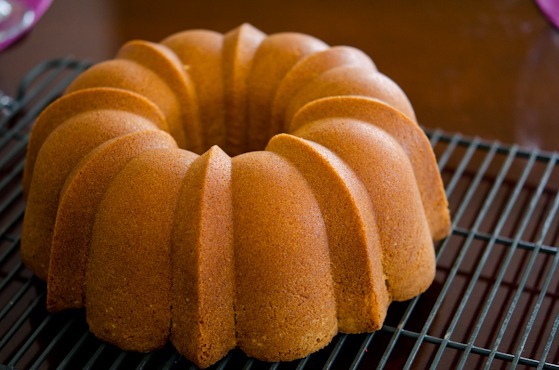 ), I'll be nervous... By the way, your bundt cake looks so smooth and beautiful when it comes out. I don't have a pan, do you recommend this brand you use? Not sticking at all? 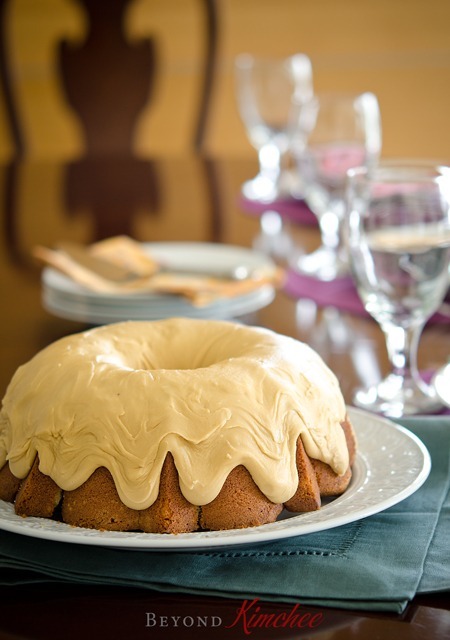 I want to try making bundt cake one day... it just looks beautiful!! Thanks Nami. The brand for this bundt pan is called Nordic Ware. Many of my baking pans and sheets are from this brand and I highly recommend it. They are slightly pricier but is well worth it for me. I never had a cake sticking to the pan. The good part is they are made in U.S.
Well, I have 7 years of pastry cheffing experience to fall back on here. I would say that when you make the caramel, you should transfer it hot to your mixer, let it cool just so it isn't bubbling anymore, then add your powdered sugar. Stir on its lowest speed, then when everything is incorporated, start beating it. Have you ever tried a Burnt Sugar cake? They are fabulous. Thanks for the tip, Meagan. I think I learned what my problem was when I make the frosting. I have not tried any burnt sugar cakes yet. It sounds delicious. Do you have any good recipe that you can share with me? Thanks Erica. I think having a good bundt pan made all the difference. I will have to dig it up, but yes. It's great because if you make a jar of burnt sugar, it'll last as long as salty shrimps! It keeps forever and you only need a tablespoon or two to flavor your goods. I'll see if I can get the recipe to you in a few days. Looking forward to get the recipe, Meagan. Thank you so much and I hope I don't cause you too much trouble. Well, the cake is still pretty darn beautiful, Holly, no matter WHAT happened! 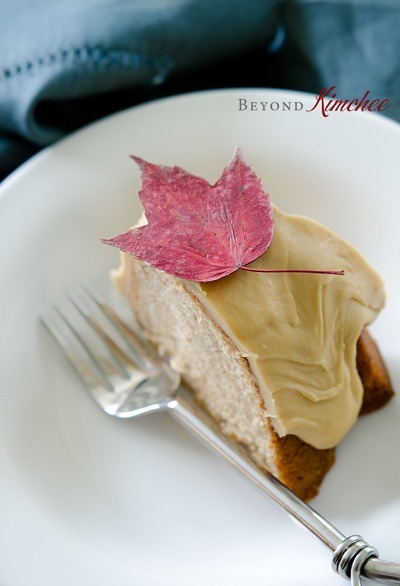 Like Julia Child says, "Never apologize" :) Spice cake with caramel frosting sounds delicious -- I can't wait to try it... YOUR version! I love the fragrance of mace. It is like cross between nutmeg and ginger. It it hard to describe the smell, but it is prominent spice in this cake recipe. Hope you get to give it a try. What a delicious looking cake! Love your photo with 5 spices. Love this recipe! Looks delicious and beautiful! I'm sure it tastes delicious too! Thanks for sharing the recipe! It looks lovely! I bet the spices give it such an amazing flavour too. 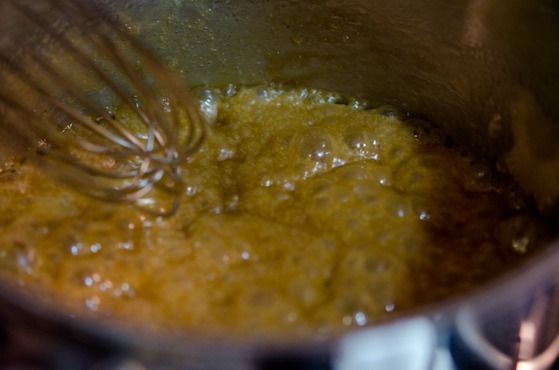 I always struggle with making caramel, it seems to be a bit of a minefield. Lyndsey, This is really gorgeous cake. The crumb is so fine and the texture is very moist (wit the addition of shortening) and tender. I find it is one of the excellent cake recipe I have tried. Of course the caramel frosting makes all the difference at the end. I love Nordicware. I own a few of their products and very satisfied with the outcome of my baking goods. I love this! That is also my hubby's favorite cake--and I have yet to attempt the whole thing from scratch. I either do one or the other. Last year was our first year living in Korea and my MIL sent me the frosting in the mail, so that I could make him his cake! :) Can't wait to try your recipe...though I don't have many of your beautiful supplies here in Korea, either! Hi Chelsea You are so nice to make the cake for your husband. I am not a huge fan of spice cake but I like this recipe for its fine and delicate crumb texture. Hope he likes it. I am sure it is quite chilly in Korea now. Enjoy the season. Thanks. I made this icing for a different slice cake, and it got rave reviews across the board. Definitely a staple! That is just wonderful! I have been using this accidental caramel frosting ever since, and I have been happy with the results. Thanks for the comment, Elizabeth! I've been watching The Great British Bake Off show on BBC, and I think I know what your caramel problem might be. When they make caramel in a pan, they stir it to mix all the ingredients, then when it's heating to a boil to carmelize--NO STIRRING. Stirring causes it to do the horrible cyrstallizing/separating thing. But you must watch it so carefully and grab it off the stove just as it turns the right color, or it will burn. I’ve made this so many times - it’s fabulous. My dad requests it for every birthday; it’s now his all time favorite.